Furley & Co. is located on Princes Dock Street, Hull. mini-meet at Hull's own Furley & Co. A great chance to catch up with old friends, the small gathering was a lovely way to end a Monday. 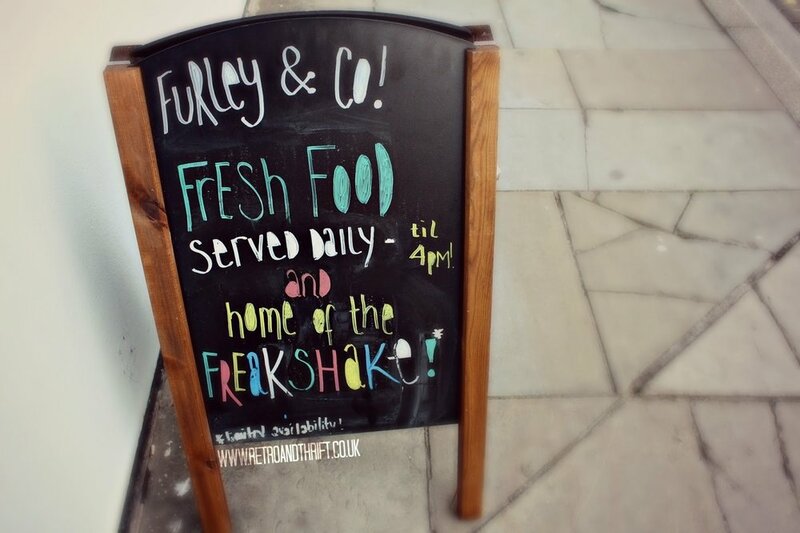 Furley & Co. is vibrantly decorated and perfect for the lighter summer evenings. really did treat us. First up we were served their delicious homemade cheese burgers and skin on fries. For me the fries were the best part, I'm sure they were double fried to ensure their lovely crispiness! The burgers were also amazing, and they were lovely enough to serve them without the sauces and let us choose what we'd like on them - which is such a bonus for a fussy eater like me. Then came the insane Freakshakes! My vanilla shake was far from plain, topped with a donut and accompanied by a full-size curly-wurly and a custard cream. The other bloggers tucked into some of the other flavours - chocolate, banoffee and strawberry if you were wondering! Already pretty full from my burgers and chips, I ended up taking home the donut for Aaron to eat later (no I have no shame!). Furley & Co. are actually launching their new "Lush-puppies", that is alcoholic slush puppies, so no doubt us bloggers will be back soon. - all of which will be appearing in some of my summer routines in the next few months! 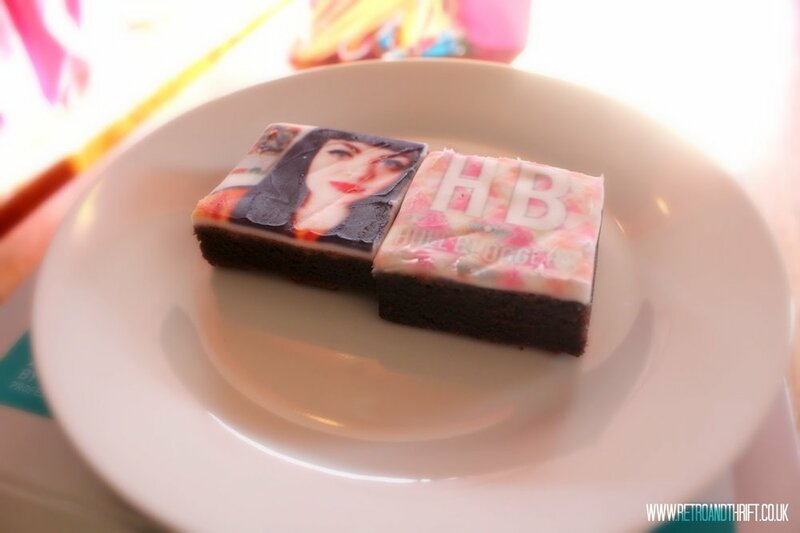 brownies - I don't think I've ever looked so tasty! Don't just take my word for it though! Check out Jordan and Heather's thoughts on the evening too!